Whether you need our water damage restoration services, water removal services, or just flooded basement clean up, we are there to help. 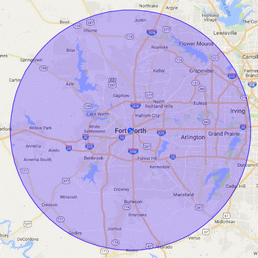 Southlake, Texas is a growing suburb in the Dallas-Fort Worth region. The city became a busier area in the 1970′s when the DFW International Airport was built, has a highly successful High School Football team, and has a bustling population of over 27,000 residents. That’s why we’re dedicated to our fellow residents and neighbors; working to preserve the safety of our friends and family, all while preserving the integrity of our homes and businesses. Our flooded basement Southlake specialists have over 35 years of experience helping folks just like you in Southlake to recover from flooded basements and recovering homes and businesses. We are fully licensed, insured, and bonded and we are available 24/7 to help you at all hours of the day, making sure that we will respond within 45 minutes of your call. We offer same day service, and will provide you the best service, whether it’s due to a pipe burst, sewage backup, washer burst, leaks, or flooding due to heavy rain and storms. We value professionalism, and will work hard to ensure that when we leave, we’ll leave you with a sense of ease, instead of worry. You can rest assured that our flooded basement Southlake experts work very hard to make sure you and your wallet are left happy at the end of the day. Water damage restoration seems expensive, but when working with the right team such as 911 Restoration, you can trust that we’ll work very hard to keep those pesky out-of-pocket expenses down to an absolute minimum. When you call on 911 Restoration, we’ll not only give you same day service, but upon arrival, we’ll give you a free inspection and a free quote after review. From there, because we are a team that is working with all insurance companies, we have the know-how and resources to dig for the best deal for you, reducing the overall cost of services down to as little as possible; even offering to file the insurance claims ourselves. We respect your time and your finances, and will work hard to make sure you are left happy, and not stressed. First of all, our flooded basement Southlake team values your business and vows to treat all of our customers with dignity, professionalism, and respect. We always put the customer first, and because also know how expensive it can be to deal with floods and flooded homes we do our best to keep our rates reasonable, giving you the most affordable price for water damage restoration you will find. 911 Restoration Fort Worth is a crew of technicians and professionals who are dedicated to our community, and that’s why we mean what we say. So when you have a flooded basement, don’t settle for less- call the best. Call us now to help you with your flooded basement Southlake issues.